Angela Keller grew up in Switzerland and followed an eclectic career as paleontologist, Jungian analytical psychotherapist, and painter. She took lessons in drawing and painting at the School of Arts and Crafts at the University Extensions and attended art classes under the Swiss painter, Toni Grieb. From 1999 to the present day, Angela has exhibited her works in numerous international art shows. Angela creates experimental, playful artwork with hints of dreams, fantasy, and charm. Her paintings fluctuate between surrealism and symbolism; they are dreamy, otherworldly, and lyrical in their balance between fantasy and reality. The viewer is called to examine a visionary experimentation of a poetic and surreal intelligence and of an ironic essence where nothing is impossible. 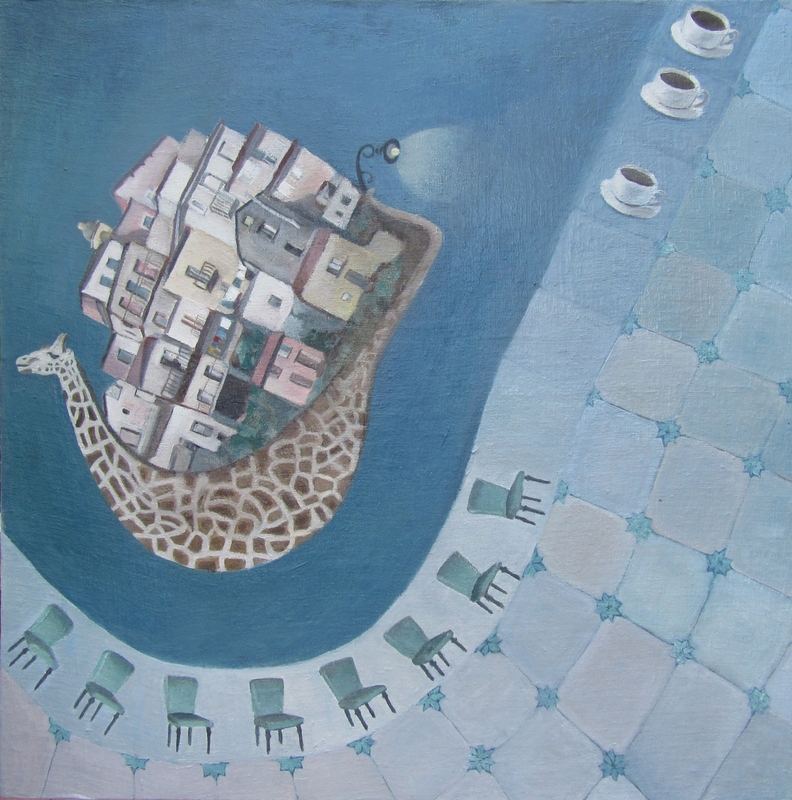 Angela’s paintings depict imaginative imagery while also incorporating certain realistic elements, such as the coast of Portugal or the villages in Calabria, Southern Italy, where Angela currently lives and works.